was the extremely handy storage options. 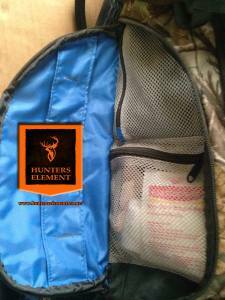 Most traditional packs have a main compartment and smaller front compartment. The Terrace has five separate storage options eliminating a cluttered and frustrating single or double compartment. We found the “wing” compartments the most convenient and easily accessible for secure storage of eight spare ammunition rounds, knives, first aid gear and in our case snacks and fruit. The Terrace also features a top storage compartment that allows enough room to store your binoculars, lunch or other items that may be fragile. During our review, I (Ben) slipped over on a wet rock, falling backwards and landed on my pack. This is where the top storage compartment came in handy and I had piece of mind that my binoculars were up high out of harm’s way. The zippers on the Terrace pack are high quality, they feature an easy to grip blaze orange finger ring, which allows quick access and ease of use while wearing the pack or during darker scenarios. Keeping in mind that this is a 25L capacity pack, it can be a large pack for shorter trips/hikes. 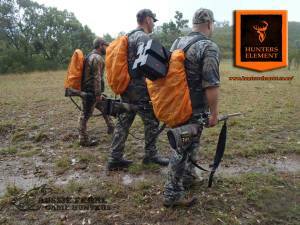 However, accompanying the zippers are four adjustable pack straps, which enabled us to reduce the size of the pack when we were conducting shorter hunts along the creek beds. This feature also allowed us to secure any loose material around the pack, keeping it compact and preventing any unwanted noise. Hunters Element has a range of different size back packs to choose from. 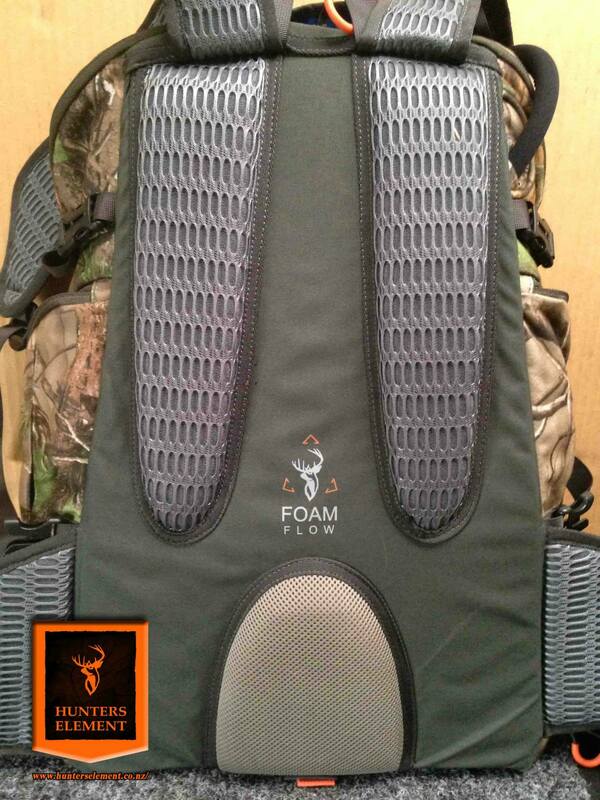 Now, the most exciting part of this pack was the FOAM FLOW™ harness. During testing we encountered scorching weather, with temperatures reaching up to 37deg Celsius and humidity was building due to a previous sun shower. 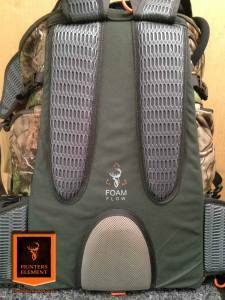 This is where the Foam Flow harness system came in handy, it allowed air to pass through and around our backs that helped us keep cool, where a conventional pack would trap the heat in. This innovative design is a game changer in back packs. The Terrace backpack is made from WaterTEC™ DRYstealth™ fabric that is both durable, silent, dual layer and will withstand a light shower or snow. In our case, we faced a torrential downpour on our third day of hiking and we knew this would be the ultimate test. 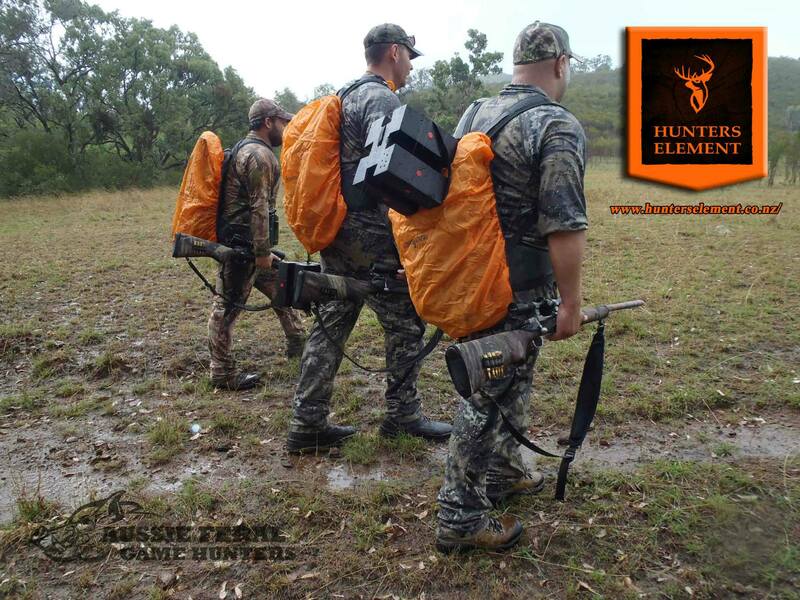 Hunters Element again proved to cover all angles by incorporating a wet weather blaze orange cover into the base of the pack, within seconds we had the cover out and over the pack giving it total wet weather protection. 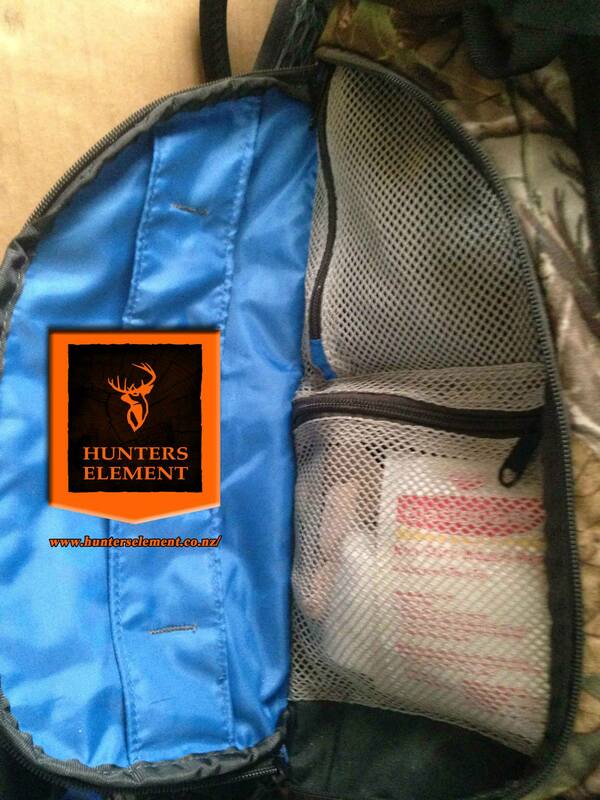 We were extremely impressed with the thought that went into this pack. 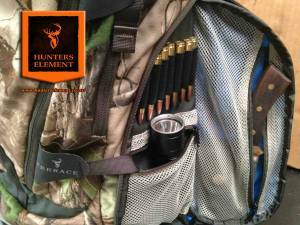 Hunters Element clearly researched all aspects of what a hunter requires from a back pack that would offer such convenience and diversity. 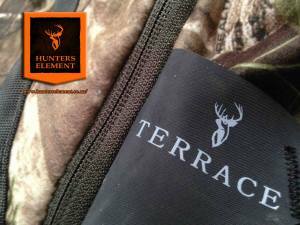 We would highly recommend the Terrace pack to any hunter or hiker that demands a high quality storage solution to carry their tools of the trade in all weather conditions. If you’re looking for a pack that has it all, then the Terrace Back Pack is definitely a great choice. 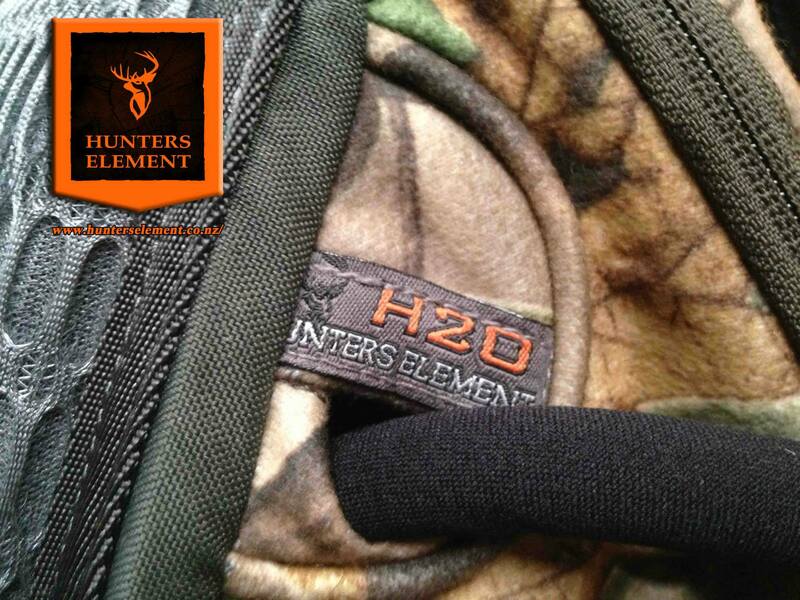 For more information or to locate your local Retailer, go to www.hunterselement.com. Like them on Facebook to stay in touch with their upcoming innovative products and competition give-aways.